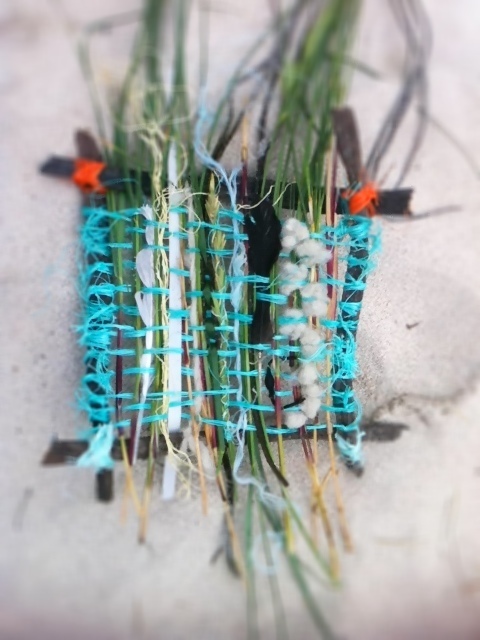 Jo Post: Vatersay Beach Weaving. 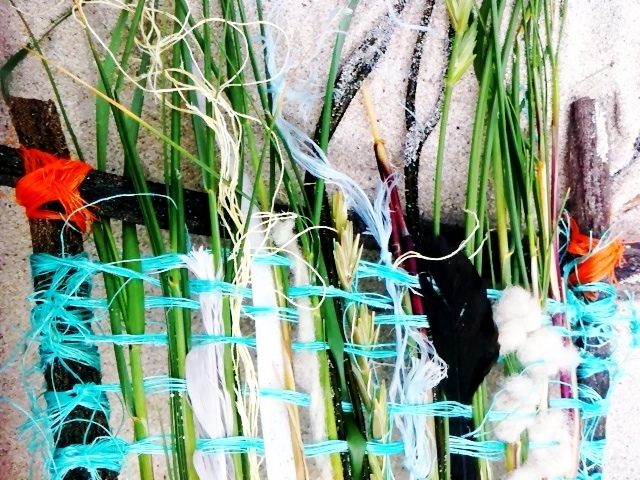 We are just back from a trip to the Isle of Vattersay. 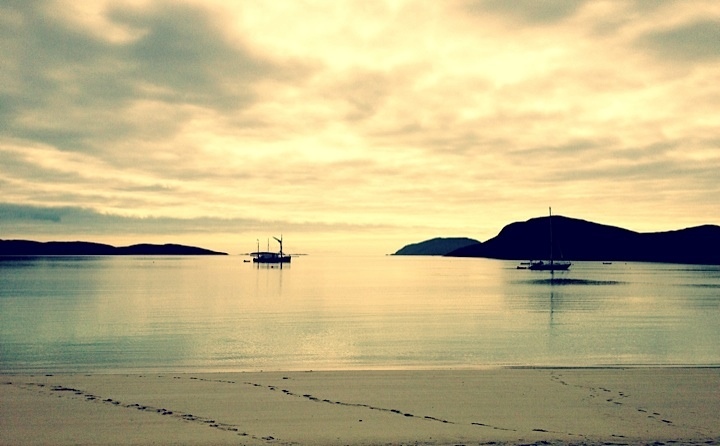 What a beautiful spot on the west coast of Scotland. 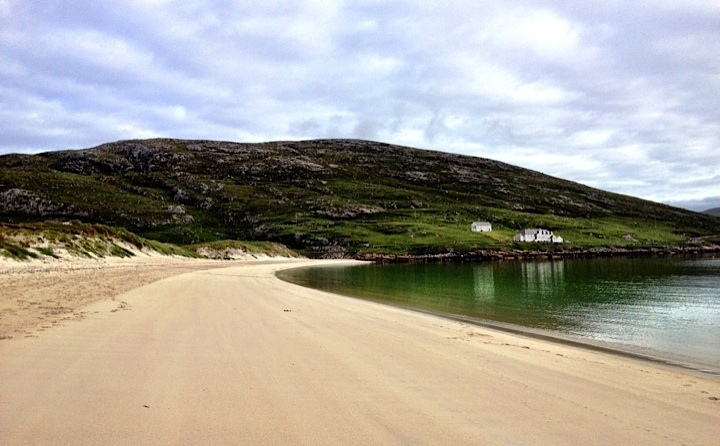 http://www.isleofbarra.com/for-visitors/vatersay/a-guide-to-vatersay.html. 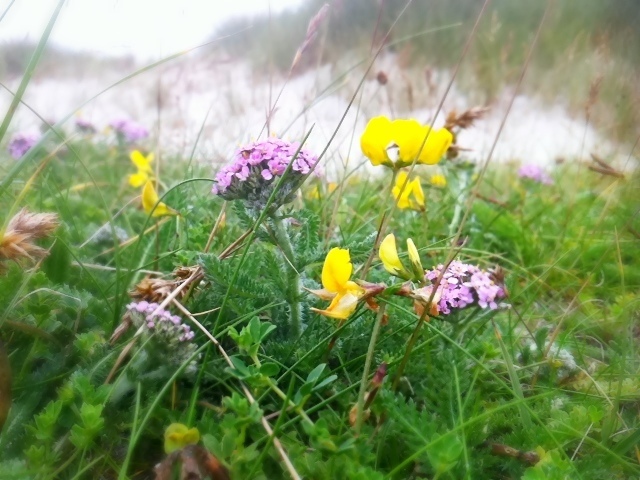 We were camping on the beach between the sea and the beautiful machair which is a grassy meadow and is very fertile due to the high seashell content and contains the most beautiful array of wild flowers. 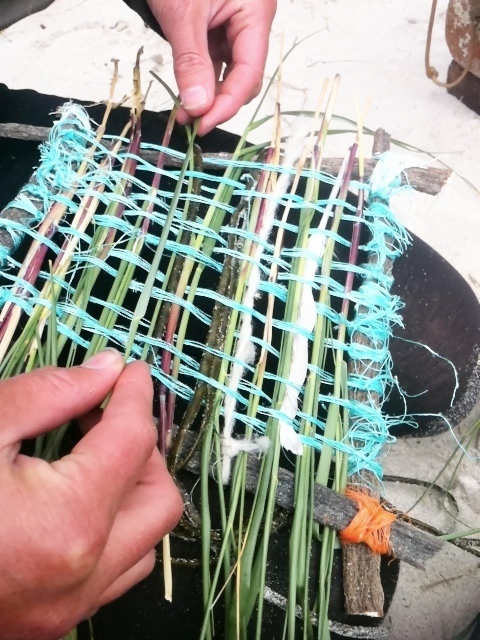 There was so much inspiration around that we decided to get creative and do some weaving. 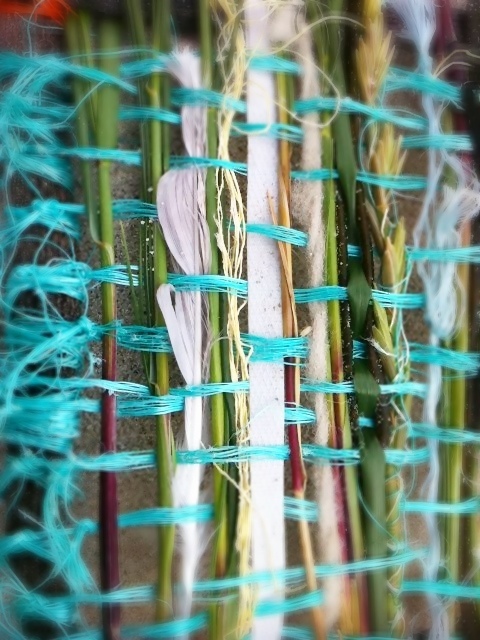 We gathered some materials from the shoreline, driftwood, seaweed, feathers, wool and rope. 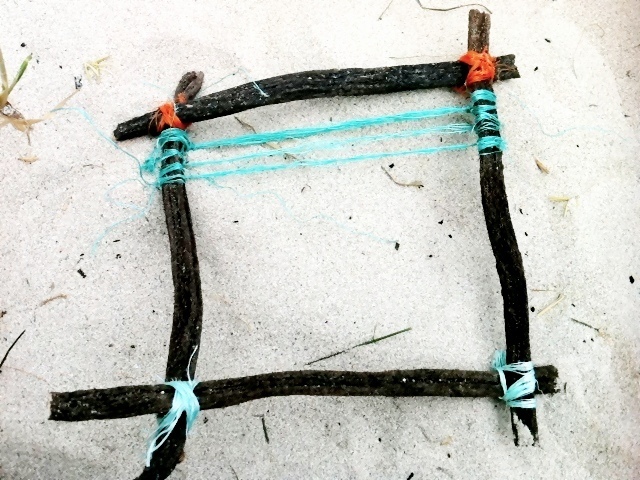 Made a frame and bound it at the corners with some rope and tied some string from top to bottom to weave through. 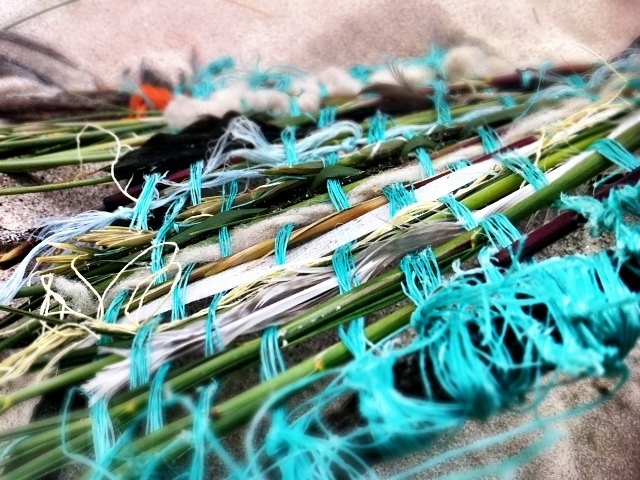 Then wove all the found materials through the strings in a random manner. 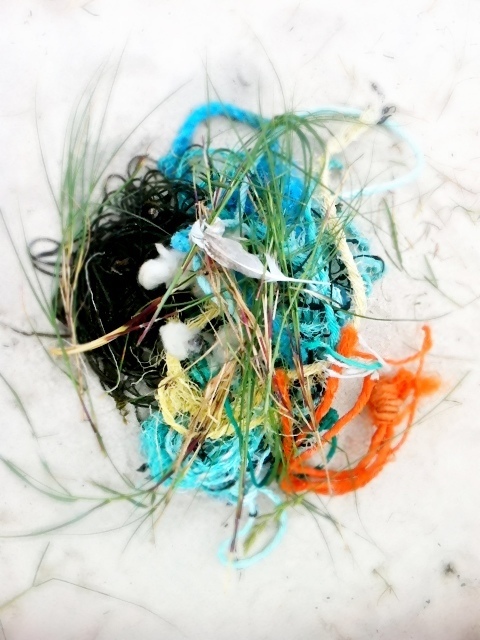 The finished piece….it was great fun and I really enjoyed making it!